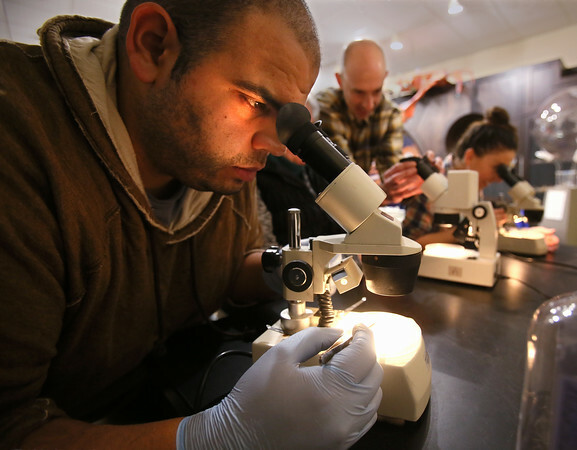 Eddie Acosta uses a microscope to examine a tentacle during a "Squid 101" class for adults Wednesday evening at Maritime Gloucester. Participants in the class, taught by marine biologist Rebecca Visnick, dissected squid and learned about the animal's unique characteristics. Maritime Gloucester will hold a similar event on March 31, when the topic will be lobsters.